“Cutting trees to make charcoal is a major cause of forest degradation,” explained Dr Razack Lokina, Director of Efd-Tanzania, “and forest degradation is a major cause of climate change.” Forests in Africa sequester billions of tons of carbon. Cutting down trees removes this carbon sink, and burning the charcoal releases carbon into the atmosphere. The charcoal process tends to involve degradation, in which trees are cut, but the forest still exists, rather than wholesale deforestation. One response to forest degradation is a program called Reducing Emissions from Deforestation and Forest Degradation, or REDD. As part of international climate policy, donors have been paying communities in developing countries to avoid forest loss. Communities receive REDD payments if the rate of forest degradation is reduced under their management. In Tanzania, there are a number of pilot REDD projects. One of them, organized, by the Tanzanian Community Forest Conservation Network, is underway in 31 villages. Beekeeping and other livelihood activities have also been introduced into REDD villages. In some cases, trees are planted specifically for charcoal production, thus relieving pressure on existing forests and providing an alternative way for insiders to make a living. 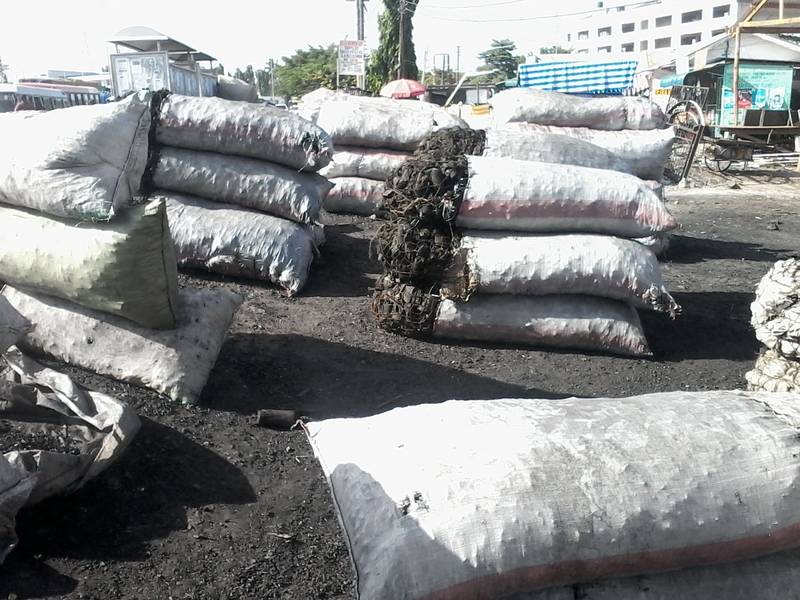 However, these initiatives rarely benefit outsiders, and so pressures to protect the forests are likely to continue so long as urban demand for charcoal remains high. An integrated approach to forest management is critical, added Dr. Robinson. “Otherwise, illegal harvesting will simply be displaced from a forest where enforcement is good to a different location where enforcement is weak.” For example, Kibaha’s forests are already vulnerable because they are close to Dar-es-Salaam. If Morogoro’s forests are successfully protected against charcoal production destined for the capital, Kibaha’s forests will be under increased pressure. While visiting the Kibaha Forest Reserve, the research team frequently saw abandoned charcoal pits and young men transporting charcoal on their bicycles, headed for Dar-es-Salaam. Encouraging Tanzanians to cook with fuel-efficient stoves is also on the policy agenda. Cooking with either charcoal or wood on a daily basis exposes household members to dangerous particulates. In addition, reliance on forest fuels affects the ability of women and girls to escape from poverty, added Mr. Kirama. “My research shows that women do 80% of the wood collection,” he said. “That is time that women could spend on more productive economic activities.” Other researchers have found that collecting wood takes away time that girls could spend in school. Forest conservation projects in Tanzania have made fuel-efficient stoves available to local households to reduce their reliance on forest products. For poor households in both urban and rural areas, the expense of buying a new stove is one reason that there is still so much demand for charcoal.